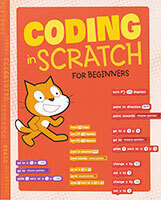 Get coding with a hands-on introduction to coding in Scratch. Step-by-step instructions will make Scratch second nature in no time. You'll be writing and directing your own programs in no time!